A panel of MSU students from underrepresented populations and diverse academic disciplines (e.g. STEM, social science, and humanities) will share their experiences with undergraduate research and creative activity. Panelists will address the benefits and challenges of research and the tools and strategies they have utilized to navigate their experiences. 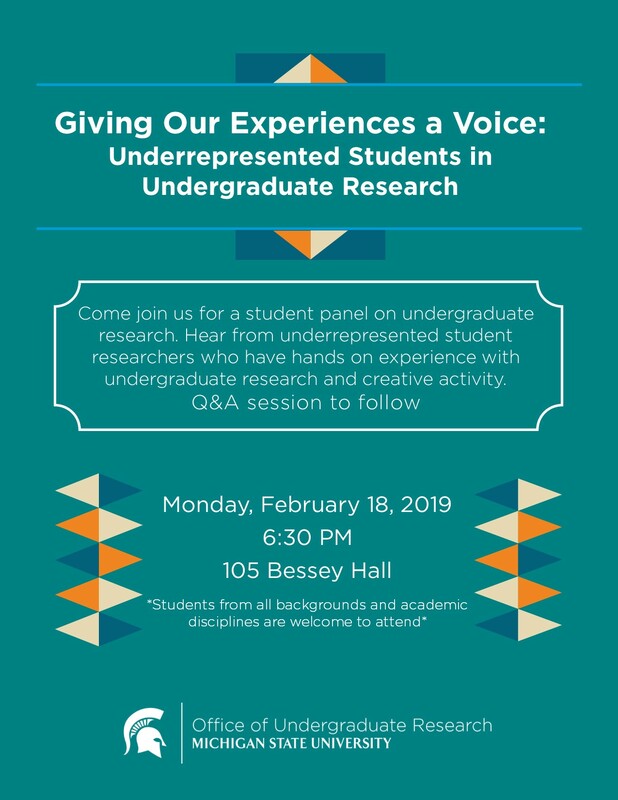 The goal of the workshop is to support students who identify as part of underrepresented populations, and who are interested in learning more about undergraduate research and creative activity. Students who already hold a research position are also welcomed to attend. Dr. Judi Brown Clark, Diversity Director for the BEACON Center, will facilitate the panel.